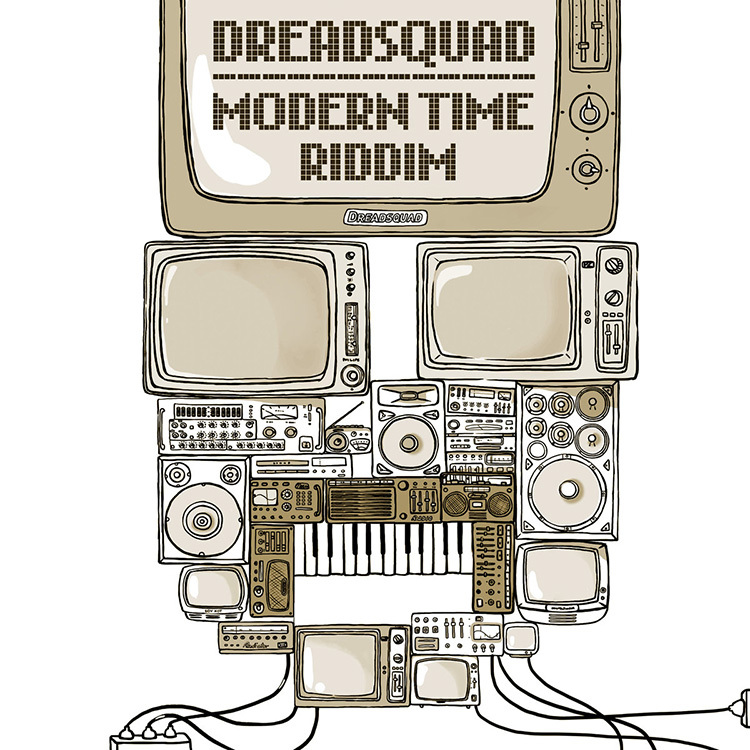 Brand new release from Dreadsquad called “Modern Time Riddim” is a one-riddim album containing 11 songs recorded all over the world by various artists such as Million Stylez (Sweden), Mr Williamz (UK), Blackout JA (Jamaica / UK), Charlie P (UK) Taiwan MC (France), Marky Lyrical (Canada), Thai Stylee (Austria), Kacezet (Poland), S’kaya (France), Ruffneck (Austria), Robbie Rule (Jamaica) and Dr Ring Ring (Germany) who first introduced the riddim on his “Dig It All” album with Dreadsquad, in his song named with the same title. Modern Time Riddim is a mid tempo dancehall/ raggamuffin riddim reminding the best dancehall era – the 90s. It’s a tribute to one of the most influential producers Gussie Clarke, whose style had a big impact on music taste of Marek Bogdanski – the man behind Dreadsquad. Minor chords, heavy Yamaha CS-01 bass line, drum machines, orchestral hits – you name it – we have it! Album is exclusively available on our Bandcamp. Official iTunes release is on October 23rd.